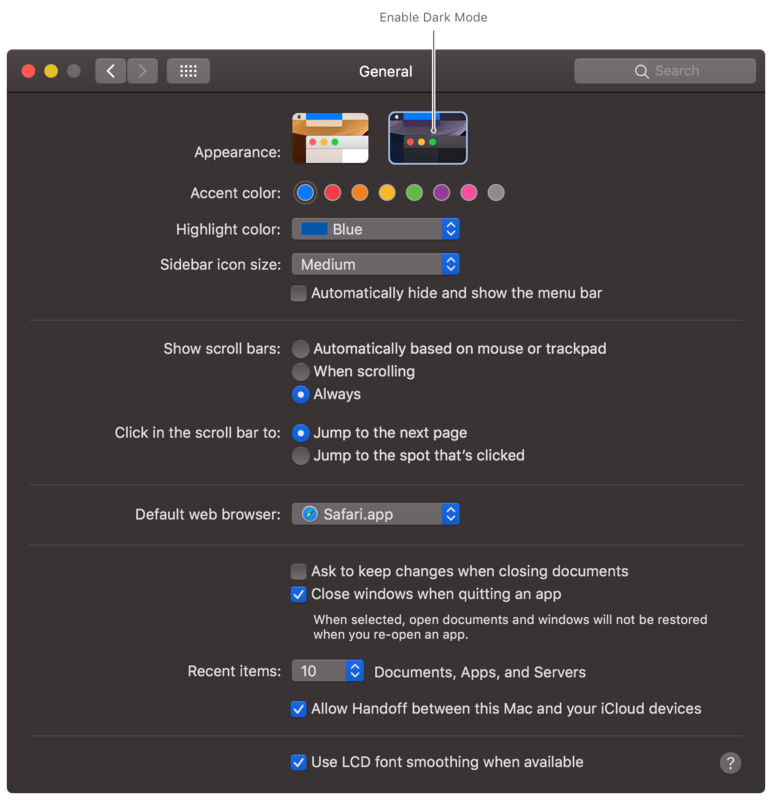 As long as you update your view from one of these methods, your view will have a chance to update itself when the appearance changes. Be aware that you might need to perform tasks in these methods that you might have previously performed elsewhere. For example, instead of setting the background color of your view’s layer at creation time, you now need to put that code in your view’s updateLayer() method, as shown in Listing 2. Although the NSColor object in the following example updates automatically, the background color of the layer does not. 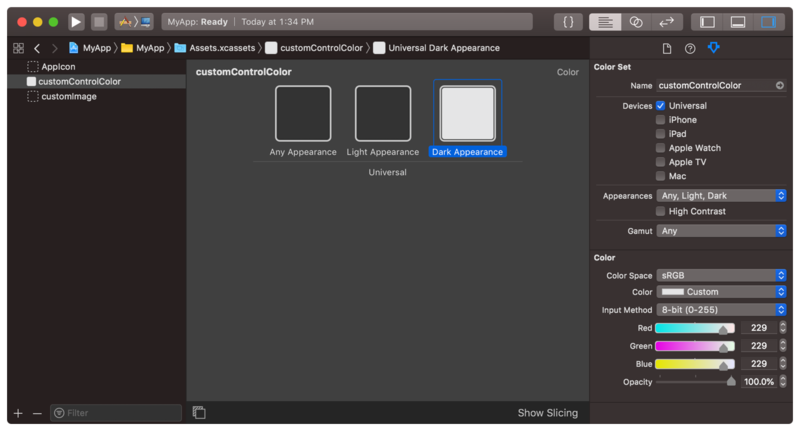 As a result, you need to assign an updated CGColor explicitly. Always choose materials based on their defined usage, not based on how those materials look. For example, when using a visual effect view as the background of a popover, choose the NSVisualEffectView.Material.popover material. Materials adapt automatically to the system appearance, including light and dark changes. You do not have to change materials manually. 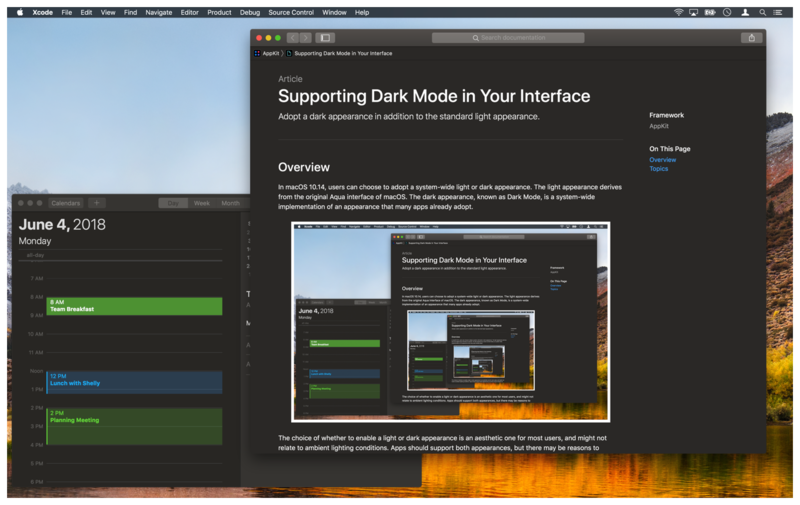 Do not use the NSVisualEffectView.Material.light, NSVisualEffectView.Material.dark, NSVisualEffectView.Material.mediumLight, or NSVisualEffectView.Material.ultraDark materials in macOS 10.14 and later. These materials do not change to match the system appearance and their use is deprecated.